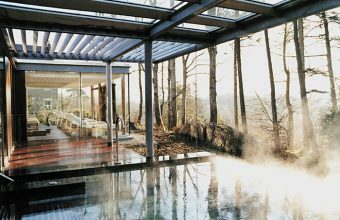 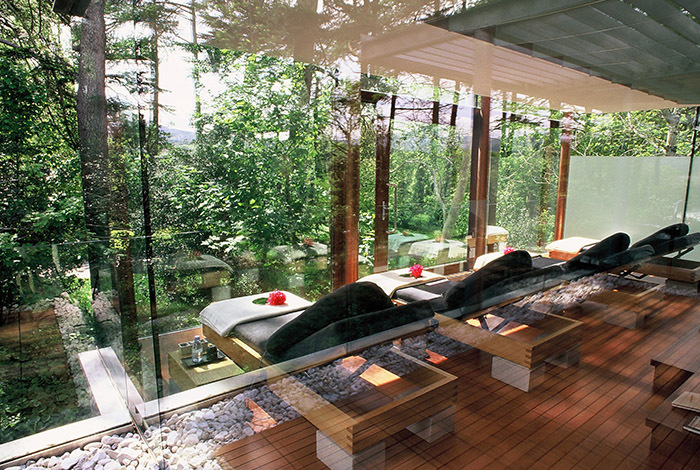 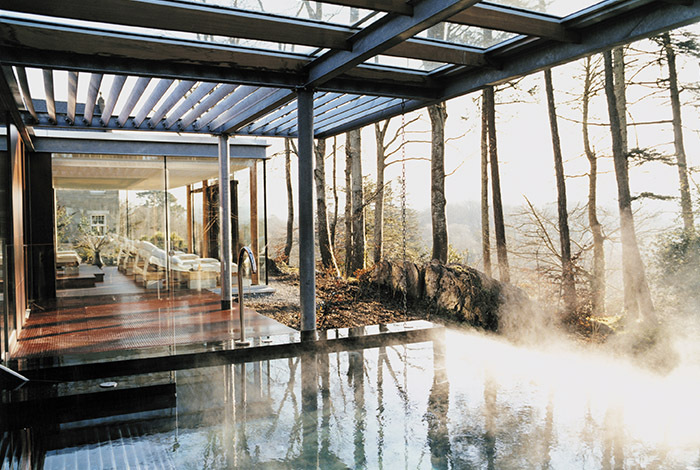 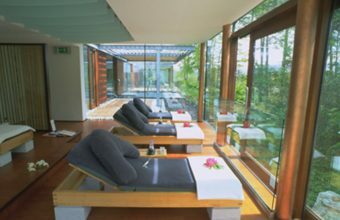 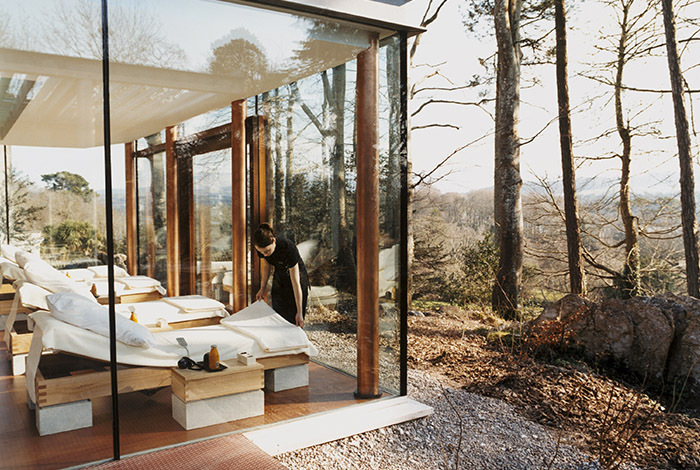 Located in stunning parkland surrounds, the Samas Spa has an affinity with nature: half of the building is located underground with a series of glass pavilions above surrounded by mature trees and uninterrupted views of Kenmare Bay. 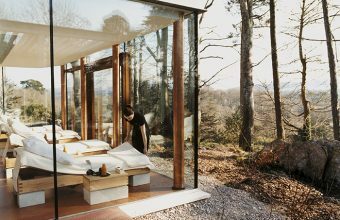 Whilst the pavilions nestle in the mature wood in which they are set, the transition through the building is very much a journey for the senses punctuated with glimpses now and then of tall mature trees and Kenmare bay. 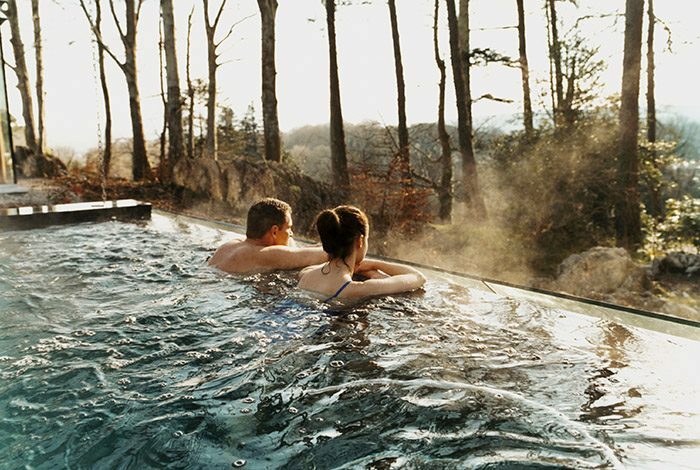 The vitality pool has an infinity edge allowing the user to feel closer to the setting. The building is complex and technical with a detailed Mechanical and Electrical brief to all rooms, yet no services (including light fittings) are visible in the building to ensure that your treatment and the natural beauty outside are the only things on the mind.